You can show mechanisms, a situation, a field of knowledge. 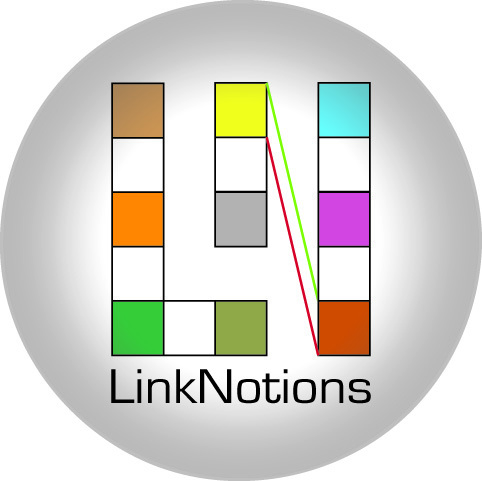 LinkNotions map: interactive, multilingual, with content in notions and links. Try by clicking and double-clicking notions and links in the map below! 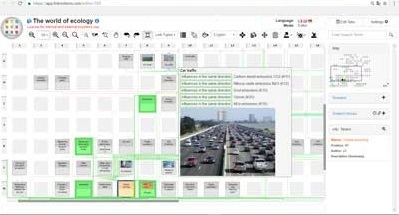 Use our online software LinkNotions to present and explain. Ask for a one month free trial ! 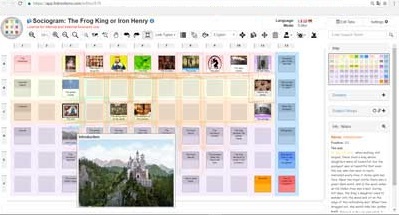 Create new diagrams and add your own notions and links. 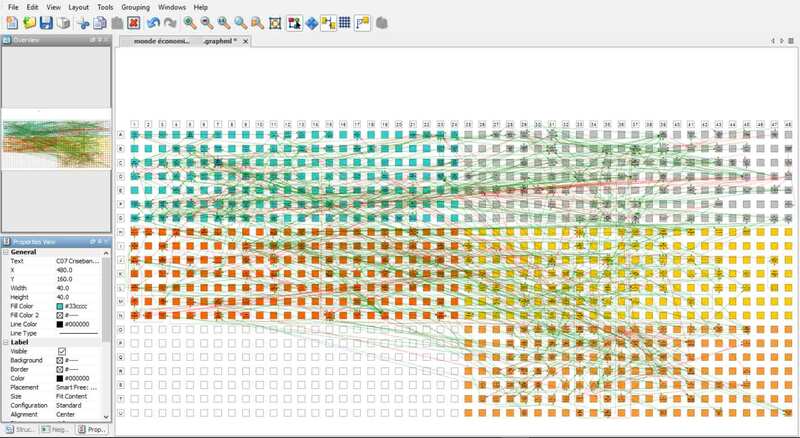 Discover new insights through the interacitve visualisations available to you. 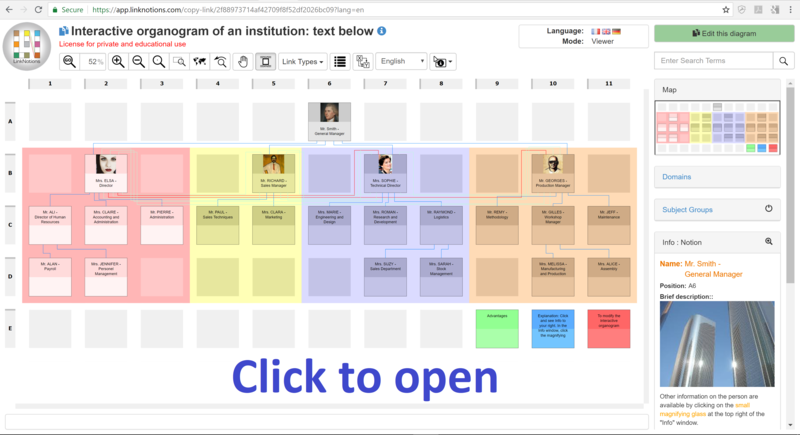 Share your diagrams by mail with a select group (coworkers, students, …) or with the world by a webpage. Introduce values and formulas into notions. Calculate the value of a notion using the values of others. 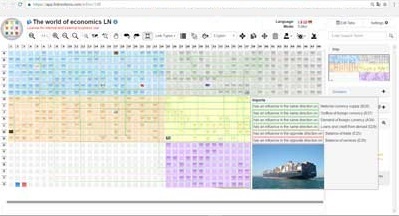 Provide you with analysis tools. 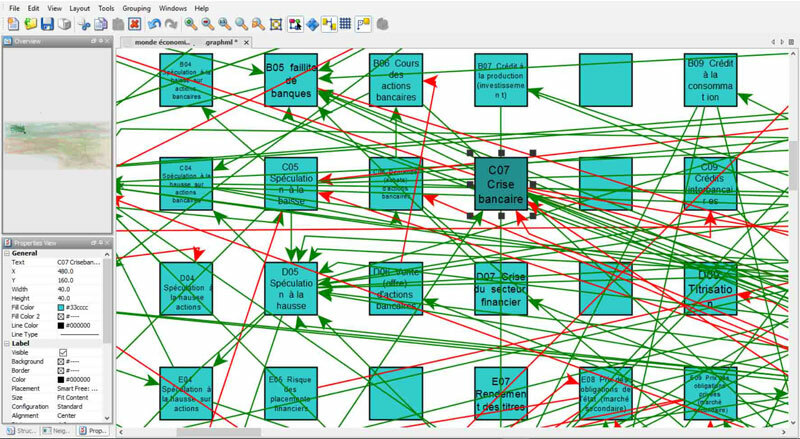 Comparison between scientific analysis and analyzing networks. 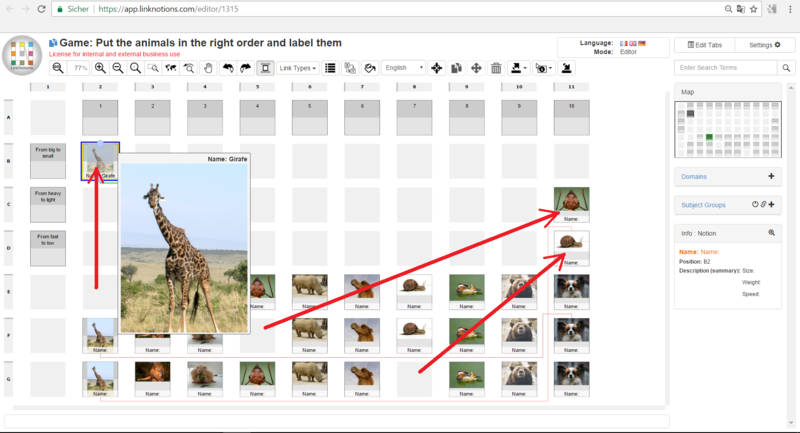 Exclusive to LinkNotions : Each notion and each link can have content: texts, images, documents, tables. You decide how to structure it. Exclusive to LinkNotions : The diagram is interactive. Place the cursor over an element or click it to get information. Exclusive to LinkNotions : The diagram remains legible even with many notions and multiple non-linear links (eg thousands). 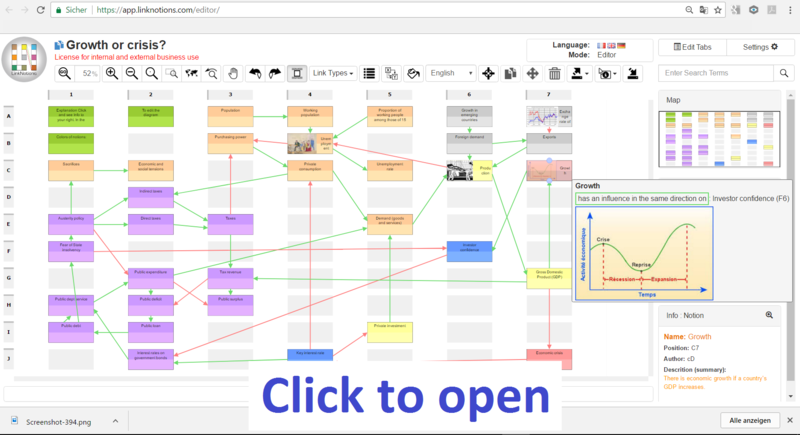 The ability to create different types of links in a single diagram. Each link type is recognizable by its name, its color, the size of its link lines, …. You can export the content of notions and links to an Excel sheet. You can export the diagram to print and share it. 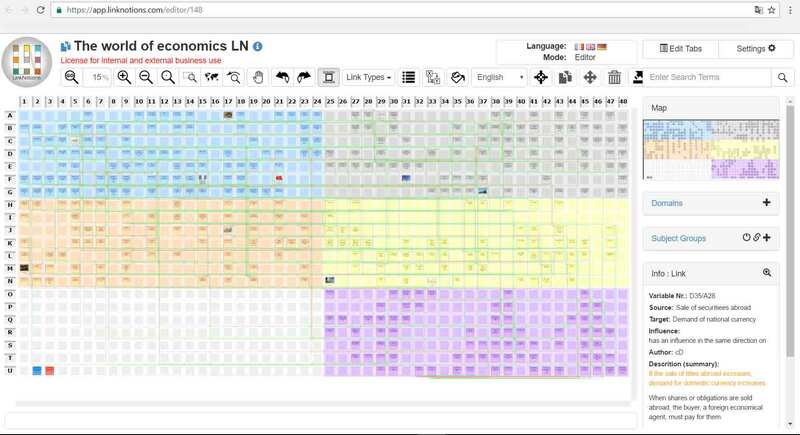 The diagram shows more than 1000 interrelations between 400 economic phenomena (notions). All notions and all links are explained. The result is a complex economic circuit unique in the world. What are the main causes of economic growth or crisis? You can see here that in a diagram with few notions you can use straight lines for links without the diagram becoming illegible. In economics and ecology (for the less young). 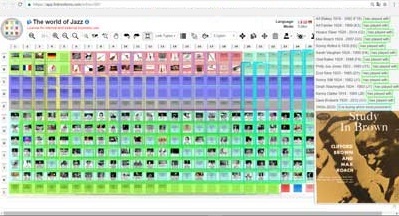 Easily create your own games in edit mode ! For a neophyte, creating a family tree fails with the difficulty of the software used. 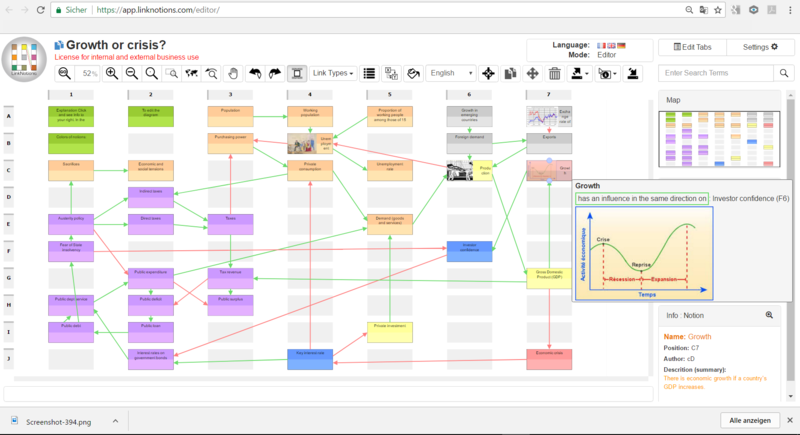 LinkNotions offers 5 models of family trees. You copy one of them for free in your account and replace the concepts father, mother, children, grandparents by the names of people in your family. You can add information (photos, date of birth, …) to each person and every relationship. Later, you can send your tree by mail to your family. Everyone can help to complete it. A genogram, also called genosociogram, is a family sociogram used in systemic family therapy. The peculiarity of the LinkNotions genogram is to be interactive and to allow to give content to both notions (people) and links (relationships) between them. This means that each person and each relationship between people may contain information in form of texts, documents, tables, photos, etc. Linking symptoms, diseases, medicines and other items, the doctor can find valuable help to think about taking into account elements in the diagnosis of disease or in monitoring a patient. 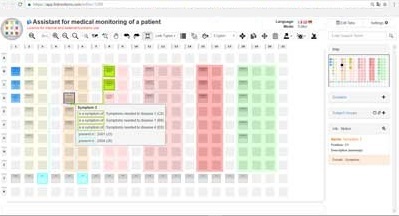 In the case of medical monitoring of a patient, the doctor can easily create a diagram for each patient taking only the elements that relate to completing the diagram to progressively monitoring the patient. 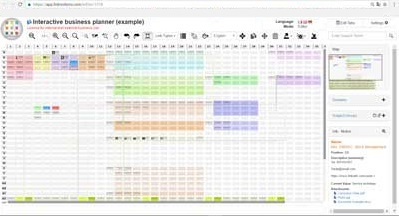 The planner provides a global view of the company. The diagram uses the text of a circular from the Commission de Surveillance du Secteur Financier (CSSF) in Luxembourg. It shows how to use LinkNotions to analyze a law. It reveals the links between institutions, stakeholders and all other parts affected by a law or circular. 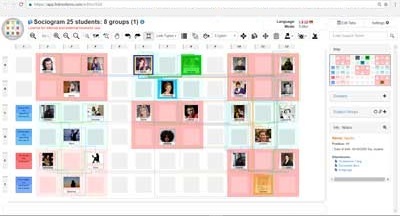 Create an interactive organogram of a company or institution or the realization of an event. It’s easy and efficient. 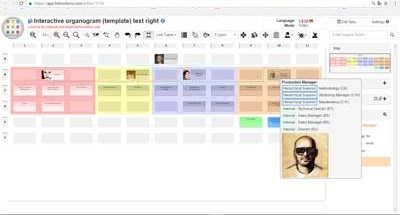 You can start from scratch or use the template proposed by LinkNotions. Copy the template for free in your account and replace LinkNotions fictitious names with the names of people in your institution. 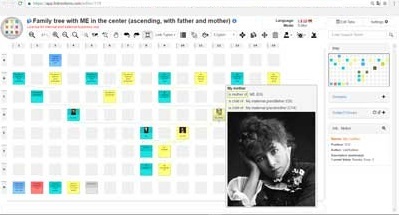 Based on the example “Death on the Nile”, we show how to create the sociogram of a novel. 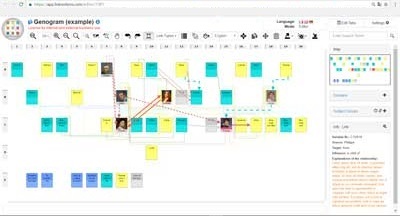 Such a diagram allows to see at a glance all the characters and the relationships between them. 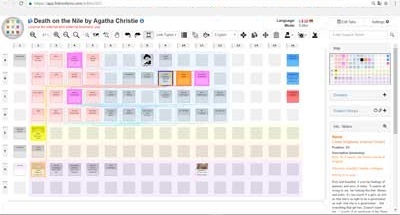 It also shows links of each person with objects, places and scenes of the novel. A sociogram is an effective tool for analyzing a fairy tale. Based on the example “The Frog King or Iron Henry”, we show how to create the sociogram of a tale.The diagram compares versions of 1812 and 1857 and provides elements of reflection and interpretation. A sociogram is a visual representation of the relationships within a group. It helps you better understand the psycho-sociological dimension of the group and create powerful and enjoyable subgroups of work or leisure. 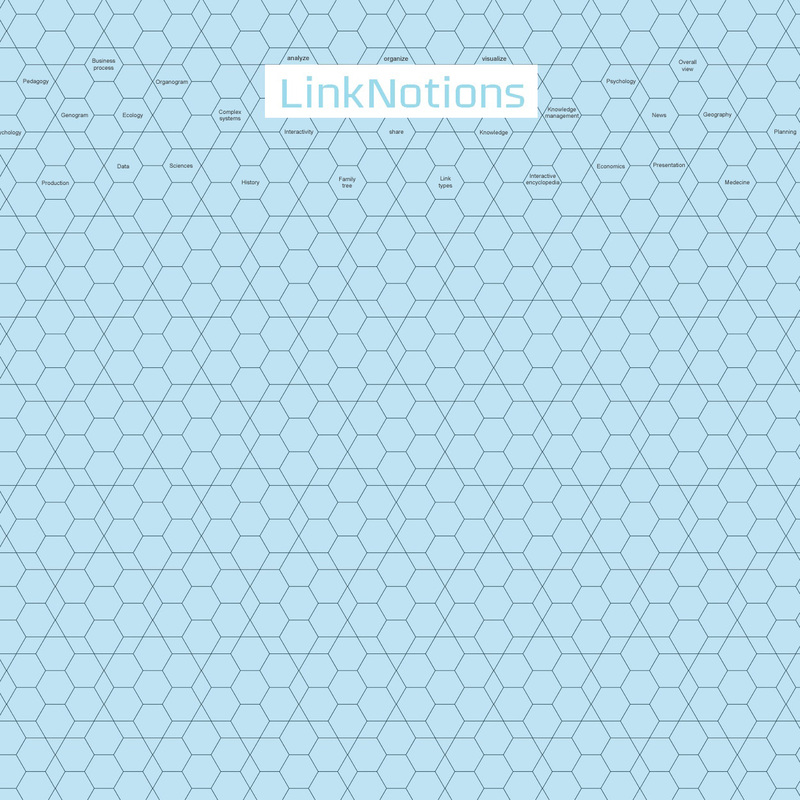 We show you, step by step, how to create different types of sociograms with LinkNotions. An interactive encyclopedia of Jazz. At a glance you can see who played with whom, where, when, what style, what instrument. This diagram shows how our needs and our way of living are leading to the current ecological disasters. Follow the path of a specific need of humans (drinking, eating, warm, …) until it causes problems (global warming, cancer skin, famine …), passing through intermediate steps. Have you ever thought about starting your own restaurant guide? Why a guide? To remember your culinary tours. To know next time where to go, without having to search in crammed guides. To make your friends enjoy your experiences. In fact, you can easily send your friends your guide. As LinkNotions works on browser, your friends will read the guide without problems. They can even change it if you want. 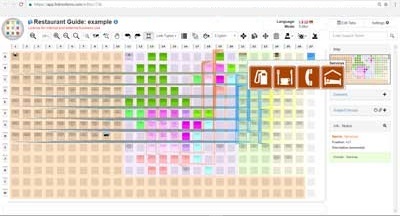 View and edit the 15 interactive diagrams developed with LinkNotions software and available for free. To view a diagram, click on the diagrams and enjoy the information they contain. User manual for view mode. 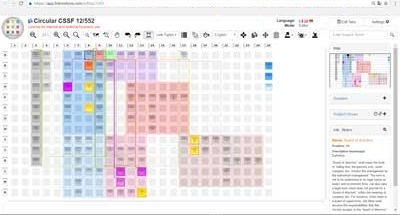 Compare LinkNotions with your average graph editor when it comes to a model with over 400 notions and over one thousand links. Conclusion: As soon as the notions and the relations are numerous and nonlinear, only an interactive diagram of LinkNotions remains readable. In a LinkNotions diagram, you can ask the links to stay in the corridors. The tooltips (1) (during a roll over) and the colored highlightings (2) (at a click) inform you about links and content (3) of notions and links (texts, documents , Images). Do you suffer from the writer’s block? LinkNotions is the best remedy against blank page syndrome. Different presentations of the same diagram. 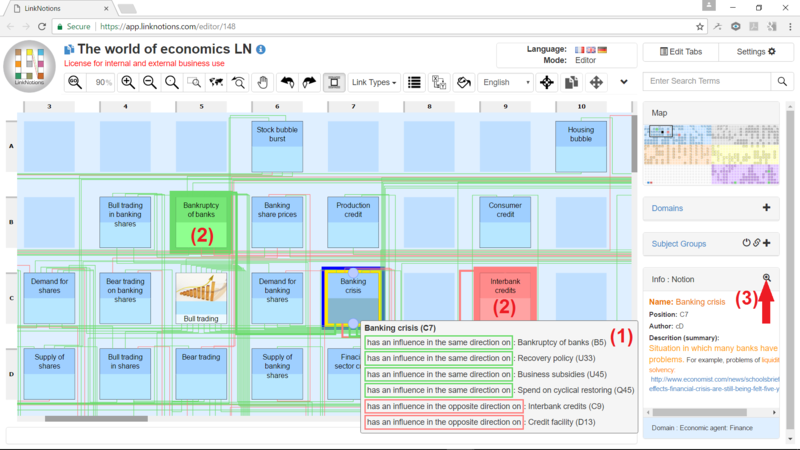 Help us to improve the interactive diagrams above by sending us an email to suggestions@linknotions.com.